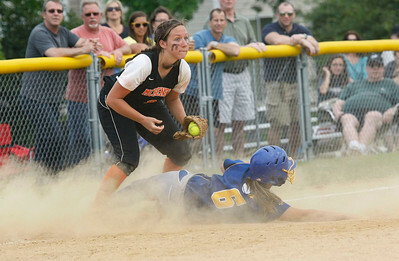 Candace H. Johnson – Shaw Suburban Media McHenry’s Beth Petrunich forces an out on second against Warren’s Megan Sowa in the fifth inning during the Class 4A Regional final at Warren Township High School in Gurnee. McHenry won 6-2. 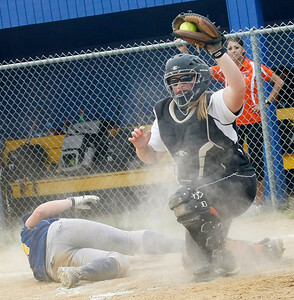 Candace H. Johnson – Shaw Suburban Media McHenry’s Mikaela Mitsch shows the ball after putting the tag on Warren’s Amy Ricci for an out at home plate in the fifth inning during the Class 4A Regional final at Warren Township High School in Gurnee. McHenry won 6-2. 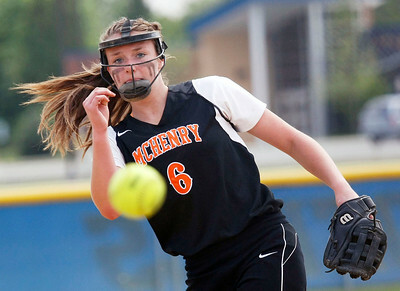 Candace H. Johnson – Shaw Suburban Media McHenry’s Kristin Koepke delivers a pitch against Warren in the fourth inning during the Class 4A Regional final at Warren Township High School in Gurnee. Candace H. Johnson – Shaw Suburban Media McHenry’s varsity softball team huddle together with their championship plaque after beating Warren 6-2 during the Class 4A Regional final at Warren Township High School in Gurnee. 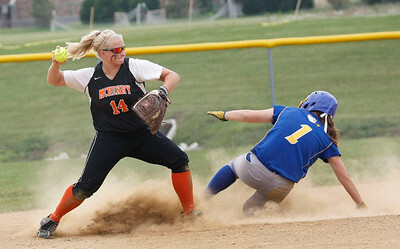 Candace H. Johnson – Shaw Suburban Media McHenry’s Kara Ekx watches the field after making a late tag as Warren’s Hayley Roane is safe on third in the fifth inning during the Class 4A Regional final at Warren Township High School in Gurnee. 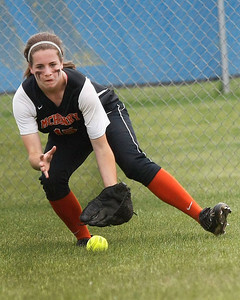 Candace H. Johnson – Shaw Suburban Media McHenry’s Dana Walsh fields a ground ball against Warren in the fifth inning during the Class 4A Regional final at Warren Township High School in Gurnee. 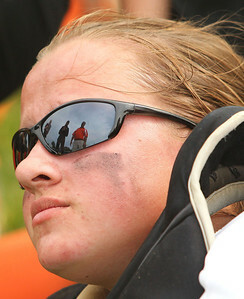 Candace H. Johnson – Shaw Suburban Media McHenry’s catcher, Mikaela Mitsch listens to her coaches, Anna Snyder, assistant, and John DiFrancesca, head coach, after their team beat Warren 6-2 during the Class 4A Regional final at Warren Township High School in Gurnee. McHenry’s varsity softball team huddle together with their championship plaque after beating Warren 6-2 during the Class 4A Regional final at Warren Township High School in Gurnee.